The Southern Investigative Reporting Foundation needs your help. I argue that we are meeting that goal. Moreover, the slate of coming investigations is sure to be the most high-profile work yet — trust me on that. But a key aspect of our ability to constantly report out and write pieces that afflict the rich and powerful is having comprehensive insurance coverage in place. That’s getting harder and harder to do. Over the past several months, as I began to gather quotes prior to renewing our insurance coverage, something became brutally apparent to me: our approach to investigative reporting had scared the living tar out of insurance companies. Our core insurance coverage has gone to an $8,000 annual premium from under $2,000 — and we are informed that number will increase. The deductible has gone to $50,000 from $10,000. I am confident that Kevin Davis gets what the Southern Investigative Reporting Foundation is trying to do. Every Southern Investigative Reporting Foundation story bears the potential for legal threat and a good deal of them eventually result in one. When I worked for large media companies like Euromoney, News Corporation or Time Inc., I didn’t have to pay much attention to the amount of threats and subpoenas I received (and I got more than a few); editors and management seemed to like the fact that a reporter was stirring things up and it was generally perceived as being good for business. A key requirement of the Southern Investigative Reporting Foundation’s insurance policy is that every legal threat has to be reported, no matter the source or how unlikely they are to ever follow through. Here’s an example of a legal threat that came from our Medbox series; here’s another from our Brookfield investigations. Don’t forget this unpleasant legal interlude last year that emerged from our reporting on inventor, investor and spaceman extraordinaire Anthony Nobles. The world has changed. Think of the papers and magazines of your youth and then look closely at them now. Growing up in the 70s and 80s my parents always had a subscription to Time Magazine and I read it religiously, thinking maybe one day I could be one of those reporters on Capital Hill or in places like Lebanon or Taiwan, reporting on the events that drove the world forward. This is Time today, aggregating news that others reported (who themselves often rely on newswire stringers) on the view that your lingering a few more minutes to watch a funny video or click on a celebrity story can eventually be monetized in some fashion. Let me ask you a question. Whatever else its attributes, do you think Time Magazine’s current management would commit the resources to a year-long investigation into Scientology that resulted in this article? The five-year legal battle with the Church of Scientology cost Time Inc. many millions of dollars in legal fees and subscriptions but its employees, lawyers and managers (broadly) considered it a badge of honor. Those men and women are long gone from that building now. 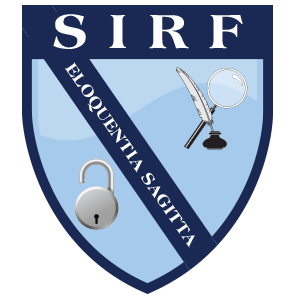 The Southern Investigative Reporting Foundation is designed to have few friends and allies–outsiders and skeptics rarely do–but I’m asking those who value our work to consider using Paypal to make a tax deductible donation to help us meet our insurance premiums so we can continue to generate accountability-oriented investigations. Standing in the gap, doing the reporting others can’t or won’t, is not supposed to be easy. There’s no real money in this — here’s our financial filings — and we win no awards and precious little acclaim. Filing a good story about what other didn’t see or didn’t know about is usually enough. Our payment deadline approaches and we must meet it or we need to go away. The cost of standing in the gap is high and getting higher. It’s almost like someone or something doesn’t want us to do this work.